This CS-Cart modification allows to add "Request a call" button to product details pages of your store and manage call requests in the admin back-end. After pressing "Request a call" button, pop-up window with "Your name" and "Phone number" input fields as well as "Call me" button will appear. 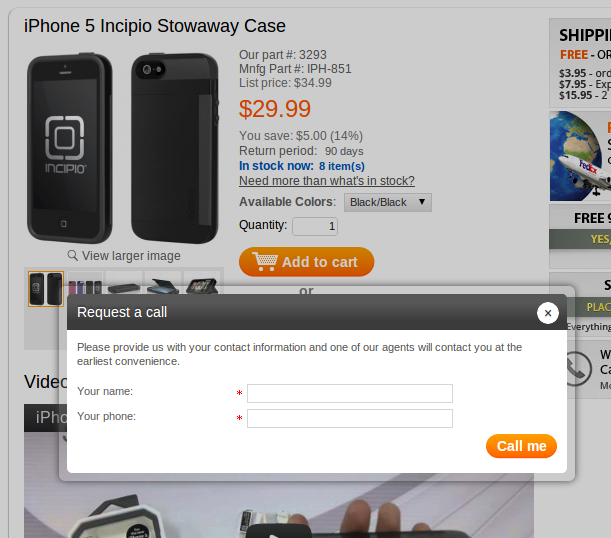 "Request a call" button appears on all product details pages in the storefront. Information about requested calls (customer name, phone number, product title, time of request) goes to a separate page in the admin back-end. It is possible to choose the call status (not processed/processed/requires additional call), add a note to this call, delete the listing. Also, the name of the administrator who changes the call status appears in a call listing in the admin back-end. Information about requested calls is also saved on product editing pages in "Call requests" tab. The initial cost of this CS-Cart modification was $440. Now we are ready to implement this modification for $260. The modification price will be different from the stated above, if you use CS-Cart v.4. "Hello Jim, soon we are planning to release another add-on similar to the Request a call, this one here http://www.alt-team.com/buy-in-1-click-for-cs-cart.html Keep up with our news!" "Sounds good. Love the idea, but the price is just too much as a modification. Maybe some day you will have it as as a ready to use add-on." We still offer "Request a call" as a modification, no ready-to-use add-on so far. 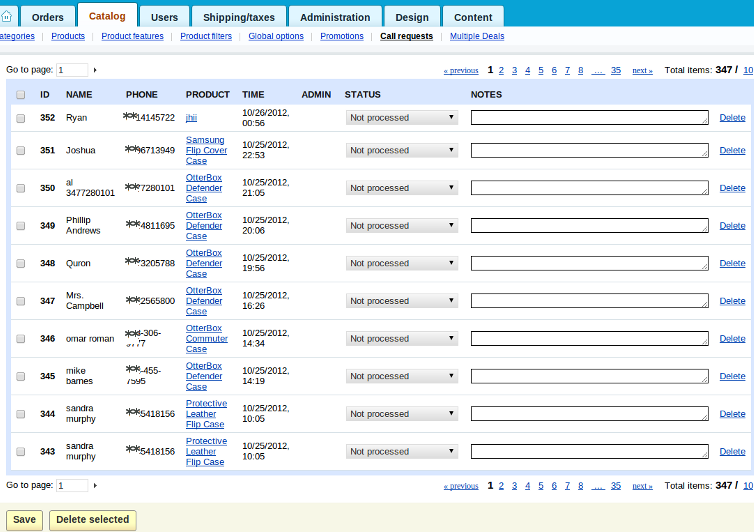 With the release of CS-Cart 4 we were (and are) busy with upgrading all our add-ons and don't have time for new ones. Unfortunately, we can't say you exactly when this modification will be available as an add-on. " "Any updates on this being an add-on? I did not see it in your list but wasn't for sure if I missed it." "Hello Jim! Yes, we will try to make this modification as an add-on for CS-Cart 4.0.x. Follow our news in facebook, twitter or google+"
"This would be a great one to do as an addon."